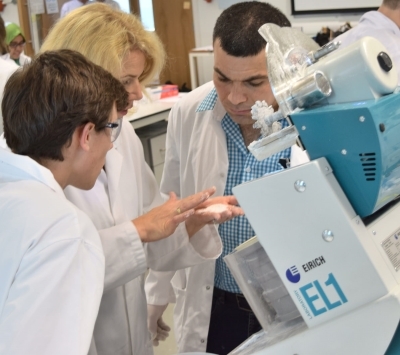 Together with two of our principals ALEXANDERWERK, and EIRICH, Orthos will participate in Sheffield University’s forthcoming International Granulation Workshop (number eight!) being held 26th to 30th June 2017. As before we are delighted to support this event with personnel and some small process equipment for course delegates to experiment with. – All are industries for which Orthos supply process equipment to fulfil a granulation process, whether it be dry granulation by roller compaction (Alexanderwerk) or high shear mixer agglomeration with the addition of a liquid/solid binder (Eirich). During the workshop conference Orthos expect to have a table-top display of such equipment, and staff available to discuss our products and services.